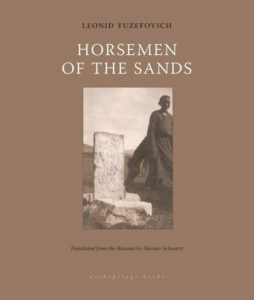 On translating Leonid Yuzefovich’s Horsemen of the Sands. Translators are by definition at a remove, always looking at literature from the vantage of a foreign language. 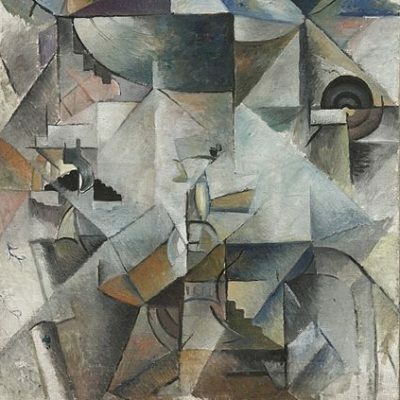 A translation contemplates its original across a gap that can be narrow or wide, the distance determined linguistically, geographically, temporally, and culturally, though even very short distances can be surprisingly difficult to overcome. Russian has a term for the stuff of the material world: realia. And Russian literature is full of that stuff, perpetually offering up dachas and samovars and trying to feed readers a bublik, kind of a pretzel and kind of a bagel, while being neither. And why, oh why, do Russians sleep on stoves? If you can imagine, then, a story in which the narrator and a principal character are themselves outsiders looking at a culture that is not only foreign but also an object of intense fascination and admiration, then you have taken your first step into the world of Leonid Yuzefovich’s Horsemen of the Sands, where Mongolia has cast its spell over the Russians—the author, the narrator, and the anti-Bolshevik warlord, Baron Roman Fyodorovich Ungern-Shternberg. These Russians gaze upon Mongolia as outsiders, and their gaze intensifies with the constant interpolation of Mongolian names, places, and realia. We can add another wrinkle to this mix as well: many if not most of the Mongolian (and Chinese) words in Yuzefovich’s novella appear in Russian transliteration, which accentuates the outsider stance, certainly, but also puts them at an additional linguistic remove from English. To help me sort out this confusing state of affairs, I turned to a scholar of Central Asian languages who reconstructed the original words from which the Russian had come and then asked me why I had used the Pinyin system of transliteration for words from Chinese. I’d used the Pinyin system because that is the contemporary standard. In other words, he asked a question I didn’t realize needed raising. He suggested instead I might want to use the older Wade-Giles system, which achieved its final form in 1892. The Pinyin, after all, was introduced by Mao in the 1950s and as such had strong political overtones. Not only that but, I learned, the English-speaking world maintained Wade-Giles as its standard all the way up to 1979. Given that the book’s action takes place in the early 1920s, during the Russian Civil War, and the early 1970s (when the author performed his compulsory military service in Buryatia, near the Mongolian border), it made definite logical sense to use the contemporaneous Wade-Giles, which yielded not only “Peking” but also “Mao Tse-tung,” for example. Unexpectedly, this perfectly rational decision added a new dimension to the translation. I’m constantly on the lookout for new ways to evoke the past subliminally. This temporal shift can be created through syntax as well as word choice, but now I’d stumbled across another method. Here, by using an old transliteration system, I’d given this marvelous story an extra little nudge into the past. Join us in conversation with Marian Schwartz at San Francisco’s Green Apple Books on the Park on November 15!